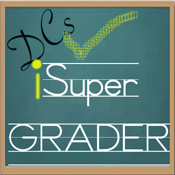 Easy Grading utility for educators , professors, and home school teachers. -On / Off decimal percentage. -Works better than a slide grader!